The Euroland is still not a unified idea outside the minds of the political elite. 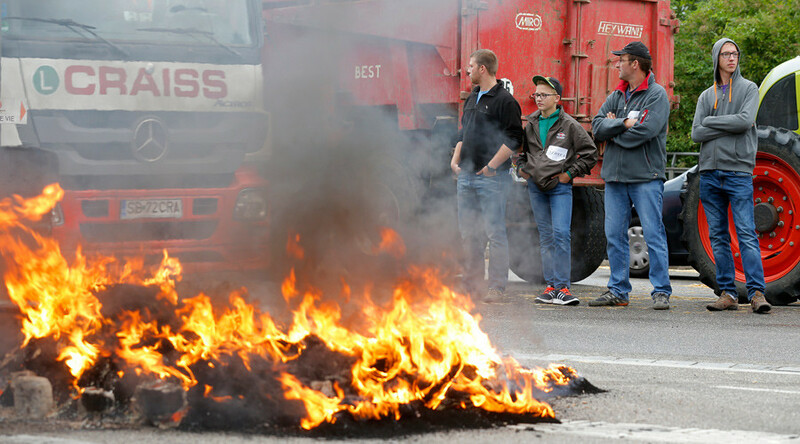 French farmers set up roadblocks to stop the import of cheaper food from Germany and Spain. This is not about the consumer – this is everyone for themselves. The idea of a unified Europe will never fully materialize, even by force.